I love salmon and sadly I know I don’t eat enough of it. So while shopping I came across a filet of Atlantic salmon that I had to have. When I brought it home I cut it into portion size pieces and wrapped them individually in foil and put them in the freezer. This way when I want it, I don’t have to cook a whole piece with tons being leftover. This recipe is so super simple and quick that it’s hard not to make it at the spur of the moment. Especially when you don’t feel like cooking. Served with rice it makes a terrific meal. These are all the ingredients you’ll need. Well…plus your salmon. 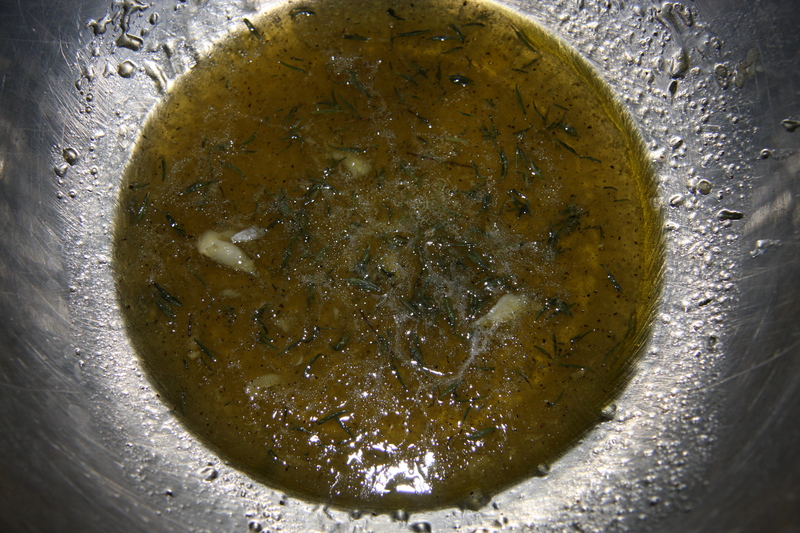 Into a bowl add your olive oil, grated lemon with juice, grated garlic, kosher salt, mustard, honey and some of the thyme. Give it a whisk. 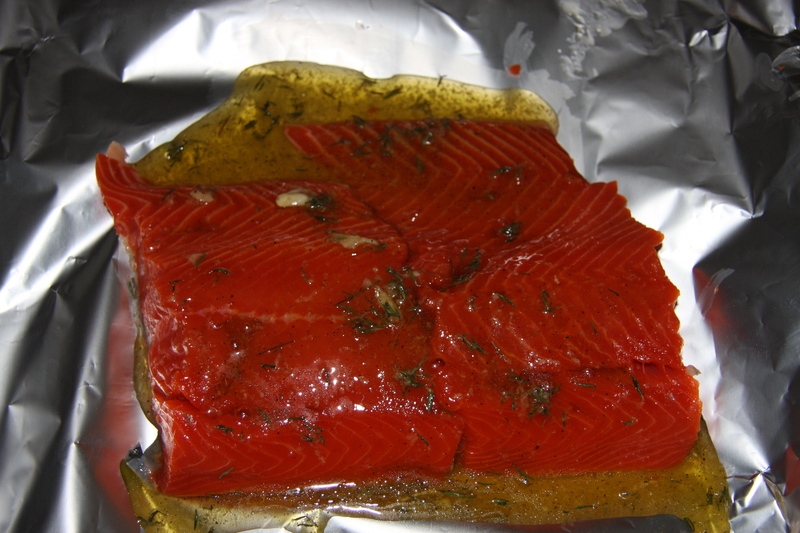 Place the salmon into foil that has been placed into a baking dish. Next pour your marinade onto the salmon. Along with a few extra sprigs of thyme. Wrap the salmon in the foil, like a little pouch. Put in the oven and bake. And there you have it. It is sssooo good with very little effort. 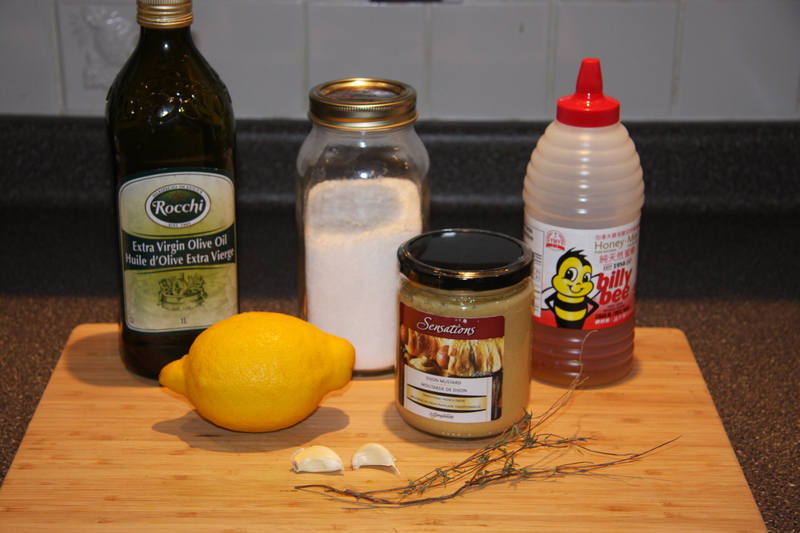 Whisk together olive oil, juice and zest of 1 lemon, honey, dijion mustard, grated garlic and salt. 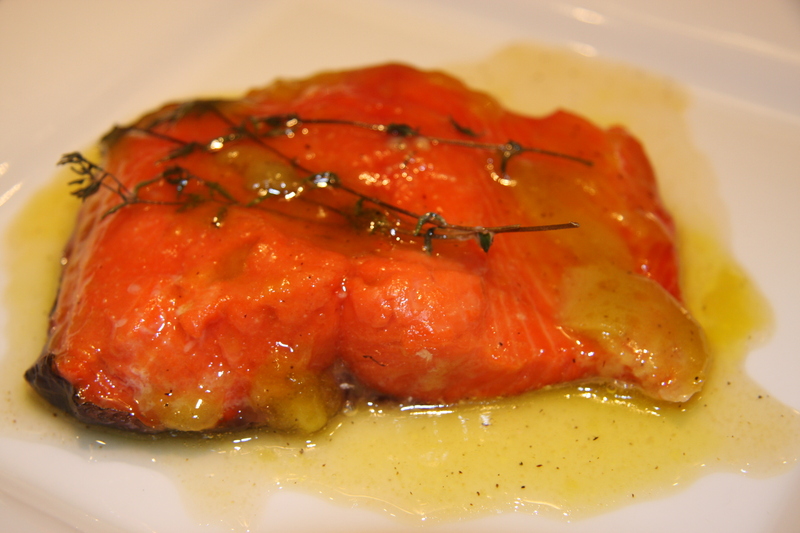 Place salmon onto a piece of foil that has been placed into a baking dish and add the marinade. 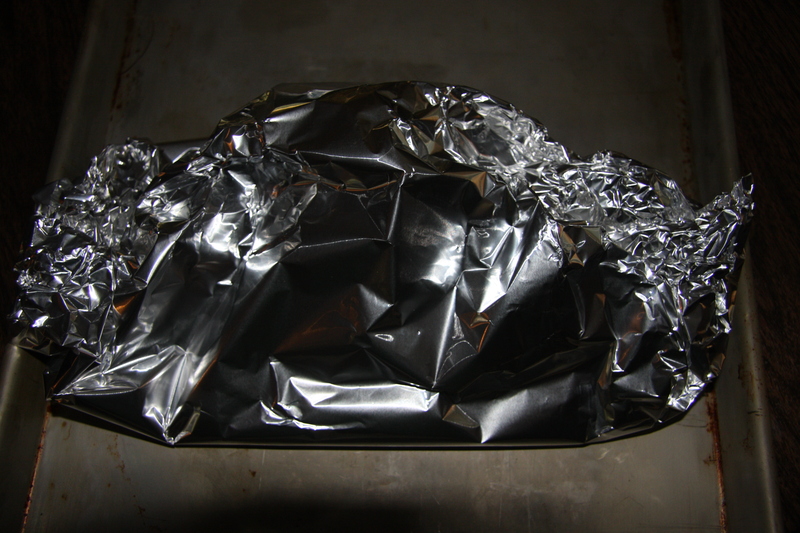 Wrap the salmon so the foil is like a little pouch. Making sure all the edges are sealed. Bake at 350 for about 30 minutes. 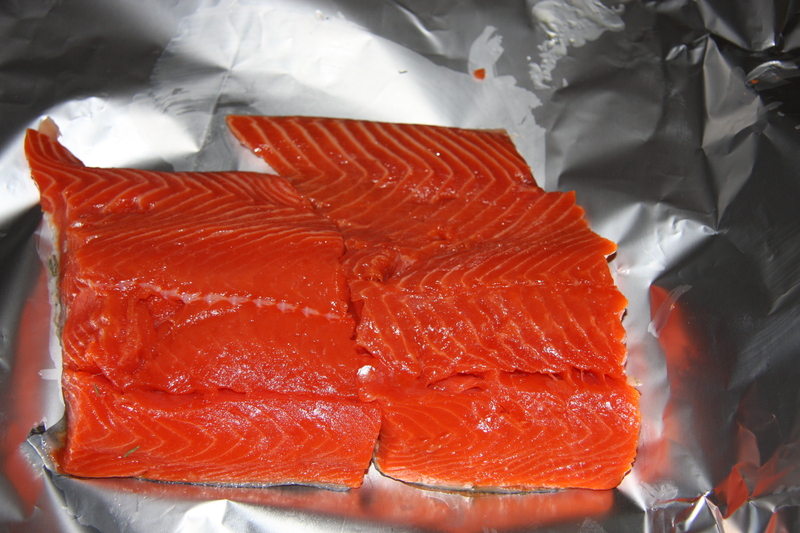 I like my salmon well done so it might be a good idea to check it after 20 minutes to see how it is doing. You can cook it a little longer or take it out of the oven at this point if you like the consistency of it. Now wasn’t that simple? Serve with rice and a veg, if you like. Enjoy! Off to Fortino’s for salmon filet.